An international group of researchers have secured over £1 billion to fund the incredibly ambitious 'Human Brain project.' Scientists will spend the next decade understanding, mapping, and virtually simulating the network of over a hundred billion neuronal connections that illicit thought, emotion, and consciousness. The team of over 200 individuals, across 80 different institutions on the planet, have gone all out, comparing their work to the Large Hadron Collider. The Human Brain Project aims to build new platforms for "neuromorphic computing" and "neurobotics," which will allow future researchers and developers to build computer technology based on the architecture of the brain. The new systems will use detailed knowledge of the brain to address critical problems facing future computing technology: energy efficiency, reliability, the huge difficulties involved in programming very complex computing systems. 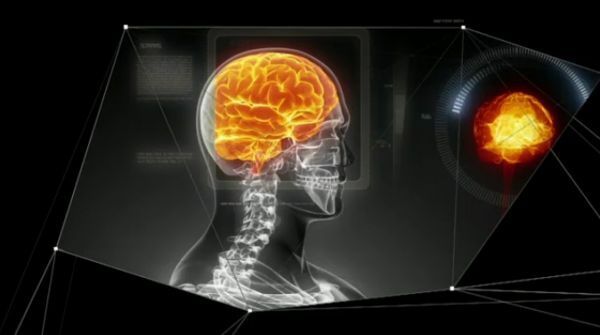 To do this, they will attempt to virtually reconstruct individual pieces of the human brain, and bring these components together in one supercomputer. Before we take the standard route of predicting this insane amount of Artificial Intelligence to be a precursor to Skynet, the team are hoping that insights gained from this will help treat neurological disorders like Parkinson's and Alzheimer's. "The support of the HBP is a critical step taken by the EC to make possible major advances in our understanding of how the brain works," sSwedish Nobel Laureate Torsten Wiesel said in a recent statement. "HBP will be a driving force to develop new and still more powerful computers to handle the massive accumulation of new information about the brain, while the neuroscientists are ready to use these new tools in their laboratories." "This cooperation should lead to new concepts and a deeper understanding of the brain, the most complex and intricate creation on earth," he concluded. Over the next few months, the team of researchers will negotiate with the European Commission, with a view to start project work towards the end of 2013.